David is a Clinical Negligence Solicitor who joined the Clinical Negligence Team in 2017. He acts for clients pursuing clinical negligence claims relating to all aspects of medical treatment. 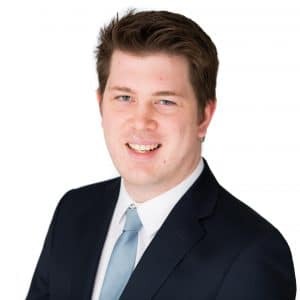 David trained as a Solicitor with a high street law firm, dealing with a wide range of matters including personal injury, professional and medical negligence, before qualifying as a Solicitor in 2014. In early 2015 David joined a large national law firm based in Cardiff and specialised in medical negligence cases for a further two years before joining the Clinical Negligence Team in 2017. David manages a wide range of medical negligence cases, including a wide range of orthopaedic injuries of varying levels of severity, surgical negligence and misdiagnosis. He has a keen interest in matters involving the negligent management of diabetes and the various complications this can result in, such as amputation. David completed his Law degree and Legal Practice Course at Aberystwyth University.